This study is designed to examine the effects of psychological capital and proactive personality on academic performance among undergraduate students. 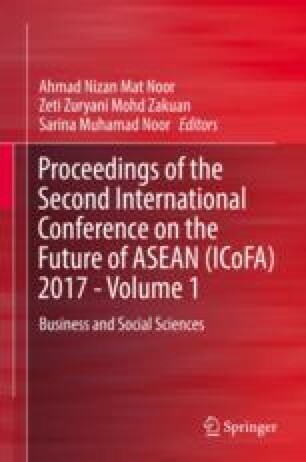 A quota sampling approach was used, and self-administered questionnaires were distributed to undergraduate students from different faculties of a private university in Malaysia. Based on data from 390 undergraduate students, the analysis by using Partial Least Square Structural Equation Modelling showed that psychological capital and proactive personality are positively related to academic performance. Appropriate training programs, activities, and talks can be designed to enhance students’ psychological capital and to shape proactive personality. The chapter concludes with limitations of the study and suggestions for future research. The work is partially supported by research grant of Universiti Tunku Abdul Rahman (Project No. : IPSR/RMC/UTARRF/2016/C1/N1). The authors also gratefully acknowledge the helpful comments and suggestions of the reviewers. Khatiwada, S., Desir, M., Matrinez, L., Nelson, J., & Nguyen, C. (2013). Association of proactive personality with academic success and stress among college students. In Proceedings of Cornell College student symposium. http://symposium.cornellcollege.edu/2012/04/14/association-of-proactive-personality-with-academic-success-and-stress-among-college-students/. Assessed 20 Jan 2017.